Civil society and community-based activists demand a say in the consideration of Bills currently before Parliament that would fundamentally affect the rights and lives of people living in rural and traditional communities. While many of these Bills purport to advance customary law, land rights and the institution of traditional leadership, they contain provisions that pose a threat to rural democracy by undermining accountability, transparency and consultation with citizens. While civil society action has contributed to government making significant improvements to the Traditional Courts Bill, for example, serious concerns remain in respect of some proposals. A key aim of the workshop was to initiate a process of raising awareness about these laws among rural- and urban-based activists and civil society organisations. Public attention on these laws has been lacking despite their potential impact for millions of South Africans. At the same time that Parliament and government are processing these new laws, political struggles continue on the ground. On 19 June the Public Protector released a report about the so-called D-account of the Bapo ba Mogale traditional community, which is managed by the provincial government of North West. The report revealed that hundreds of millions of rands were missing from the account and found financial mismanagement and maladministration on the part of both the provincial government and traditional authority. A Commission set up by North West Premier Supra Mahumapelo to investigate the leadership and financial woes of the Bakgatla ba Kgafela traditional community has similarly unearthed what appears to be gross irregularity in the management of community funds and revenue from mining by government and the traditional authority. Meanwhile residents of Matiwaneskop in KwaZulu-Natal, who hold title deeds to the land that they collectively own, have been locked in an ongoing struggle to manage their own land affairs through a customary committee, rather than through a senior traditional leader that the provincial government supports. These struggles play out within a national context of elite capture, inequality, corruption, and increasing intimidation of activists and those seeking justice for unaccountable leaders in government, traditional institutions and the private sector. Despite government’s claims, the Traditional Leadership and Governance Framework Amendment Bill is not a “technical stopgap”. By sweeping aside government’s failure to transform traditional structures inherited from apartheid, it will legitimise and enable the repeat of serious abuses such as that experienced by Bapo ba Mogale and Bakgatla ba Kgafela. Instead of democratising traditional structures, the Bill will undermine accountability to the people. This is not the South Africa that we voted for, nor is it the customary law that we value. For these reasons, we call on government and Parliament to allow sufficient time for members of the public to understand and provide inputs on all of these proposed laws. It is Parliament’s duty to properly educate people about what the laws say. It is also Parliament’s duty to ensure that principles of democracy, accountability and transparency remain paramount in all laws that it passes. We, the people, demand to be listened to! 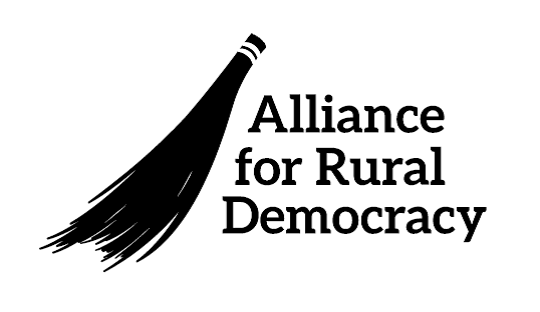 For more information on these issues, contact Constance Mogale, National Coordinator of the Alliance for Rural Democracy, at 082 559 0632.